This article was originally published in the 2011 Guide for Real Florida Gardeners, sponsored by the Florida Wildflower Foundation. The Foundation is funded in large part by sales of the Florida wildflower license plate, and is the only significant consistent source of funding for native plant education, planting and research. We’re glad to see Florida gardeners become more interested in using Florida native wildflowers in their gardens. These beautiful blooming symbols of Real Florida are becoming more available in our native nurseries, thanks in great part due to the encouragement and support of our partner, the Florida Wildflower Foundation. 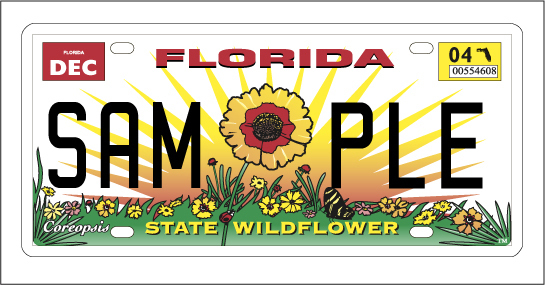 The Foundation seeks to enrich lives with Florida native wildflowers through various initiatives funded primarily by proceeds from the colorful Florida wildflower license plate. This license plate is the largest most consistent source of funding for promoting native wildflower research, education and planting. In 2013, FANN joins with the Foundation in celebrating La Florida: 500 Years of Wildflowers, as part of our state’s Quincentennial events. We applaud artist Xavier Cortada’s participatory art project, Flor 500, promoting our state’s native wildflower heritage. Get started with Florida native wildflowers! A great page on the Foundation’s website to get you started learning about Florida native wildflowers. Florida Wildflowers: a Planning and Planting Guide originally published in our 2010 Guide for Real Florida Gardeners with funding from the Florida Wildflower Foundation. Wildflowers for Your Garden: Blazing Stars (native Liatris species), originally published in our 2011 Guide for Real Florida Gardeners with funding from the Florida Wildflower Foundation.